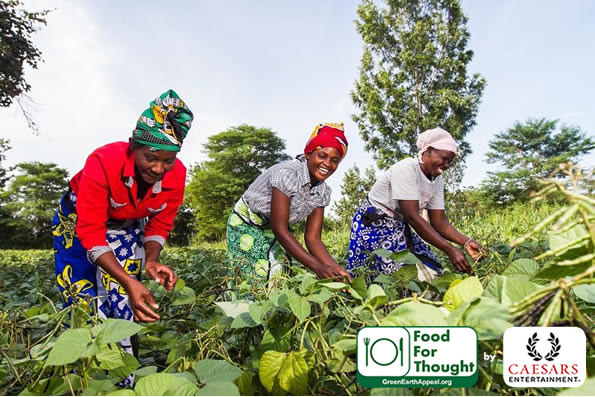 Food For Thought – The environmental and socially responsible initiative operated by The Green Earth Appeal in partnership with Ilfracombe Foodservice. The environmental and socially responsible initiative operated by The Green Earth Appeal in partnership with Ilfracombe Foodservice. Marco Pierre White, three Michelin Star chef and Food For Thought Partner. Offset the carbon footprint of your meal. 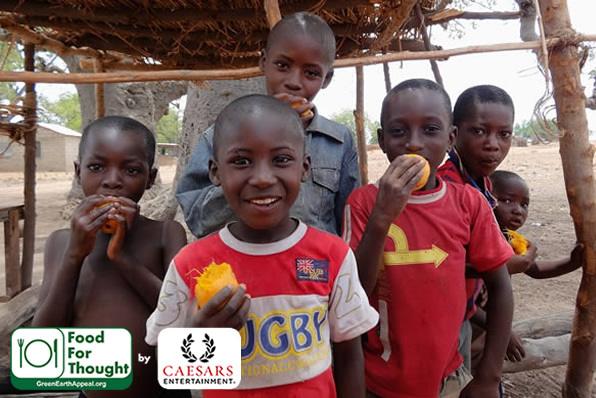 Caesars Entertainment UK is committed to caring for communities and the environment and, in conjunction with the Green Earth Appeal, is changing the lives of some of the poorest communities on the planet through tree planting. In partnership with the UN Environment Programme and as part of the Billion Tree Campaign, Caesars UK has already facilitated the planting of over 150,000 fruit trees in countries throughout the developing world. Caesars Entertainment UK has helped to create sustainable and productive communities across the developing world by financing the tools, seeds, and training required to empower people to grow trees. These renewable forests enable agriculture and water collection, and also provide food, firewood, construction materials, and animal habitats. This means the communities no longer need to take food aid from the back of trucks but are able to provide for themselves. The Green Earth Appeal is one of only 61 planting partners of the United Nations’ Billion Tree Campaign worldwide. It is a part of a network which, since 1989, has aided thousands of communities in Central America, Africa, and Asia by planting nearly 65 million trees. Caesars Entertainment UK aims both to mitigate its carbon footprint and to help change lives in the developing world. Together, they are achieving this. With a shared passion for the environment and for empowering communities with more than handouts, Caesars Entertainment UK and The Green Earth Appeal are changing lives and helping save the planet, one tree at a time.